The legendary first volume of was mixed by Kenny Dope of Masters At Work fame and now DJ Jazzy Jeff is set to raise the bar with his second star-studded collection. Jazzy Jeff formed the group DJ Jazzy Jeff & The Fresh Prince in 1985 with Will Smith, since then they have released numerous hit singles, 4 Gold albums, as well as starring in the hit TV show The Fresh Prince Of Bel Air. Will Smith then used that success to became one of Hollywood's biggest movie stars after a string of Box Office Hits ranging from Bad Boys, Independance Day and Men In Black. Some twenty years later, they are still working together, whether it is performing in front of a million people at last years Live 8 event in Philly or production work on Will Smiths solo records. 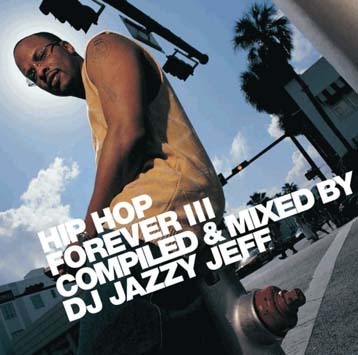 In 2004 BBE presented the world DJ Jazzy Jeff’s first official mix CD. It was an immediate success with fans and critics around the world. For Volume 3, he follows the same winning formula, classic hip-hop, hard to find jams and new favorites are all represented and mixed as only The Magnificent DJ Jazzy Jeff can. So, sit back and enjoy a fine mix by possibly the greatest hip-hop DJ of all time featuring a mix of the biggest artists in Hip Hop including: Biz Markie, Redman, Gang Starr, A Tribe Called Quest, Jay Dee, Black Sheep, Mobb Deep and The Pharcyde. DJ Jazzy Jeff is extensively touring the world and can be seen at the BBE 10th Anniversary Party in London on Sept 30th showing off his incredible skills.